Reading, Writing and Cooking: Aquafabulous! Vegans and egg-free foodies are singing the praises of a new egg substitute. Aquafaba – also known as bean liquor or the brine found inside cans of legumes like chickpeas or cannellini beans – is versatile, low-calorie and found in almost every home. Instead of draining beans down the sink, aquafaba converts have turned the liquid into meringues, waffles, crepes and even mayonnaise. 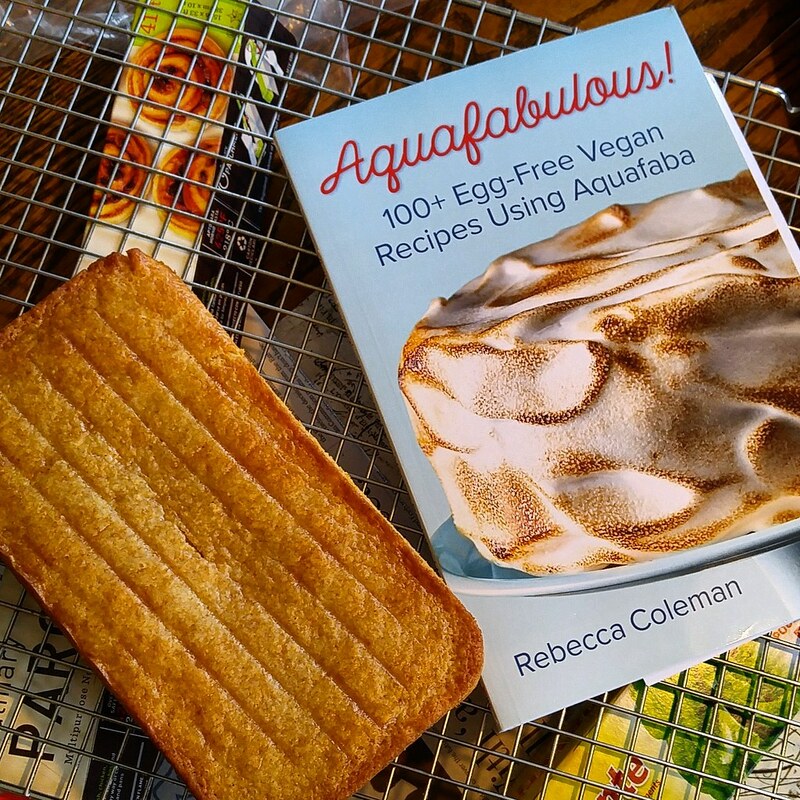 Rebecca Coleman has compiled a collection of vegan recipes using both aquafaba and the beans that make it in her book Aquafabulous! : 100+ Egg-Free Vegan Recipes Using Aquafaba. As can be expected from any Robert Rose book, Aquafabulous! begins with a highly detailed introduction to the topic, including manufacturing and storing homemade aquafaba. Coleman also includes a “vegan pantry” listing of ingredients common in her recipes, including miso paste, nutritional yeast and tofu. While the book is exclusively vegan, even cooks new to the cuisine will be able to turn out flavourful and satisfying meals once they peruse the chapter. Each chapter has it’s own table of contents, making browsing through the book simple, and a well-referenced index helps users look up a specific recipe. The chapters are categorized by meal type (e.g. Breakfast, Baked Goods and Mains), although the author mentions her own three classifications of recipes in the introduction. 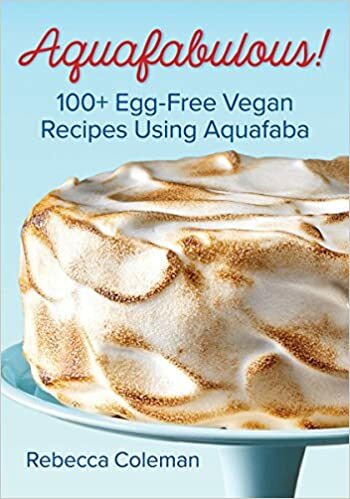 Aquafabulous!, according to Coleman, can first be categorized into vegan “basics” – things like making your own aquafaba, non-dairy milks and other “recipes for recipes” that form components for meals later in the book. Second, there are recipes using the aquafaba itself – either in breading preparations (e.g. Grown-Up Tater Tots (p. 76)), as a binder (e.g. Vegetable Fritters (p. 60)) or for leavening (e.g. Chocolate Mousse (p. 173)). These recipes are what readers generally search for when they pick up a book on aquafaba – it’s one thing to loud the possibilities of this bean liquid, but quite another to put it to use practically. Lastly, Coleman provides recipes to use up the “by product” of aquafaba procurement: the beans themselves. Chickpea Curry (p. 100) is a bright, not-too-spicy main dish that uses exactly 1 (16 oz.) can of chickpeas – although those of us in Canada are more used to the 19 oz. cans, which work just fine. The book is clear about where aquafaba’s strengths are: the baking world. The whipped foam was miraculously like beaten egg whites in cakes and muffins, adding lightness and a rather fine texture in most cases. 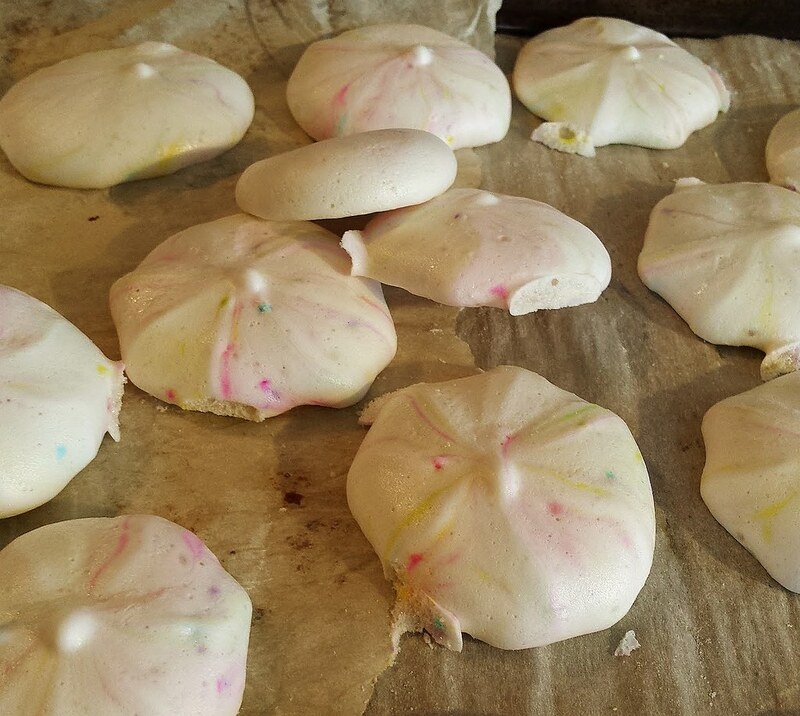 Meringues (p. 144) were ethereally light – provided they were made on a dry day and not in the middle of a snowy winter day. Heavier batters, like the Lemon Rosemary Polenta Cake (p. 150), just weighed the foam down however, becoming a dense, somewhat oily but nevertheless tasty snack suitable for afternoon tea or as a sweet-savoury dessert after a heavy meal. However, I should note that with simple, relatively one-note flavours such as those in meringues, it is critical that a light, low-flavor bean is chosen. Cannellini and chickpea brine is ideal for most applications, as it adds neither colour nor any perceptible “bean” flavor. Black or kidney bean brine can be used, regardless of what mainstream aquafaba converts say, but they are best suited for richer flavours like chocolate (in Decadent Chocolate Brownies, p. 160) or spices (Carrot Cake, p. 152). While there are certainly many aquafaba-containing recipes in this book, the star ingredient can be difficult to locate at times. Some recipes have the aforementioned “basic” components made from aquafaba as a condiment, others have no aquafaba or beans at all, which is highly confusing. If I am going to buy a book about a subject, I would expect a compilation of information and practical applications for the topic at hand. In this respect, Aquafabulous! is best described simply as a vegan cookbook, not one dedicated to the craft of cooking with the title ingredient. Aquafabulous! : 100+ Egg-Free Vegan Recipes Using Aquafaba is definitely a good buy for those embracing a vegan diet, or who wish to find an innovative way to bake egg-free. There are enough aquafaba recipes to be useful for beginners, but those looking for a more in-depth manual will find the information and innovation lacking. Rebecca Coleman shows promise as a cookbook author and I look forward to seeing further cookbooks from her. Nice and tasty post! Thank you verry much/ Look at best site to buy a research paper. A research paper is a kind of challenge because it requires special skills, especially writing. OF course, it's better to use a research paper examples. These short texts will help you to understand the main idea of this or that kind of writing.